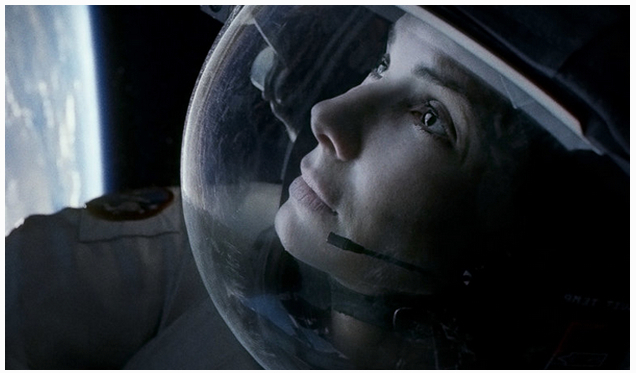 Having already clinched bragging rights as the top-grossing Hollywood studio in China this year, Warner Bros further cemented its lead with the excellent rollout of Gravity on Tuesday. With nearly $10 million in ticket sales in its first two days of PRC release, and what I’m estimating will be at least a $70 million final tally, Gravity should push Warners’ 2013 total in China to around $325 million. This will mark the first time I can remember when Warners will have won the China box office crown. It will also reflect an impressive 80 percent revenue boost over Warners’ respectable, albeit distant second-place finish to Fox in 2012. With such box office hits as Pacific Rim, Man of Steel, The Hobbit: An Unexpected Journey and now Gravity, Warners will average about $54 million in ticket sales per picture. Second place in the studio derby this year will go to Disney, whose Marvel superhero offerings Iron Man 3 and Thor 2 will account for around $175 million of that studio’s $250 million annual take. Sony and Fox will finish third and fourth, respectively, with Fox falling off precipitously from its record-holding $376 million China gross in 2012. Sony had only one strong release with Skyfall back in January, but it was able to get more films into China than any other studio and in aggregate managed to cobble together more than $200 million in gross revenue. Although Fox got solid results in 2013 from The Croods (a Dreamworks animated picture) and Wolverine, it couldn’t match the huge numbers of last year’s Titanic 3D, Life of Pi and Ice Age 3 and wound up with less than half of last year’s gross with around $176 million. Universal and Paramount, the two studios with the least active presence in China, received the fewest import quota slots and grossed the least among the majors, with about $159 million and $129 million respectively. At last week’s box office, U.S. films captured the top three slots, although two of these were buyout films. Thor: The Dark World and Escape Plan won the top two spots for their second week in a row with $24.9 million and $13.3 million, respectively. New entry Red 2 picked up $5.9 million in its first three days, enough to handily beat the $4.9 million that Red collected during its entire run in 2011. Total nationwide box office was $54 million for the week, a 57 percent increase over the same period last year. U.S. films will see another week or two of relative prosperity before the year-end Chinese tent-poles move in and grab all the spoils in December and January. Look for big results from The White Storm, which releases on November 29th, followed by big December debuts from No Man’s Land, The Four 2, Firestorm, Personal Tailor and Police Story. By year’s end, Hollywood movies will land only 2 of the top 10 spots at China’s box office in 2013, down from 7 last year and 6 in 2011. In aggregate, U.S. distributors will manage only a meager 5 to 6 percent increase in their China sales this year, a mere fraction of the 60 percent gain that Chinese language films have enjoyed. Hollywood has let yet another year go by doing little more than lobbing movies into China from across the Pacific, and it has paid the price with a precipitous drop in market share. Meanwhile, aggressive non-Chinese players like Australia’s Village Roadshow and Korea’s CJ Entertainment have stepped into the breach with highly successful Mandarin language co-productions. And local Chinese players are rapidly growing in competitive strength, as exemplified by Huayi Brothers’ massive increase in its stock market capitalization to $5.2 billion from only $1 billion a year ago. Many of these companies have established beachheads in the U.S., and it won’t be long before their growing financial strength in China will enable them to compete effectively with the stodgy U.S. studios and further erode their diminishing dominance of the global film market. This entry was posted in Analysis, Box Office Reports, Opinion and tagged CJ Entertainment, Disney, Escape Plan, Gravity, Huayi Brothers, Man of Steel, Pacific Rim, Paramount, Rob Cain, Robert Cain, Sony Pictures, Twentieth Century Fox, Universal Pictures, VIllage Roadshow, Warner Bros by chinafilmbiz. Bookmark the permalink.